Multi-purpose Little Bully™ Dozer Blades capitalize on Grasshopper zero-turn maneuverability to deliver powerful performance moving dirt, maintaining gravel driveways and plowing and clearing snow from sidewalks and driveways. The blades attach in place of the out-front mower deck, providing easy operation and timesaving performance. 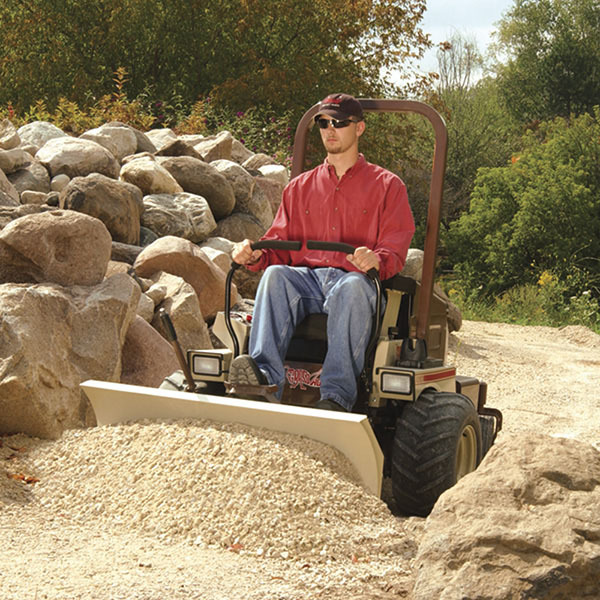 PowerBlade™ Pro models feature a foot pedal lift and operate straight ahead or angled hydraulically up to 25 degrees left or right.